There was a surprise discovered as workers began opening walls removing things such as the elevator and the walls encasing it and its cables etc. 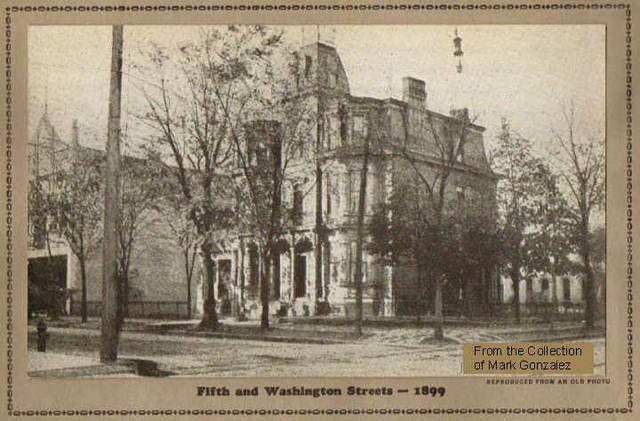 This is the corner of Washington and Fifth Street. On the far left of the picture you can see what appears to be the original Ogilvie's on Fifth Street. In our time that would be known as Woolworth's 5&10 (with Ogilvie's using the second floor). 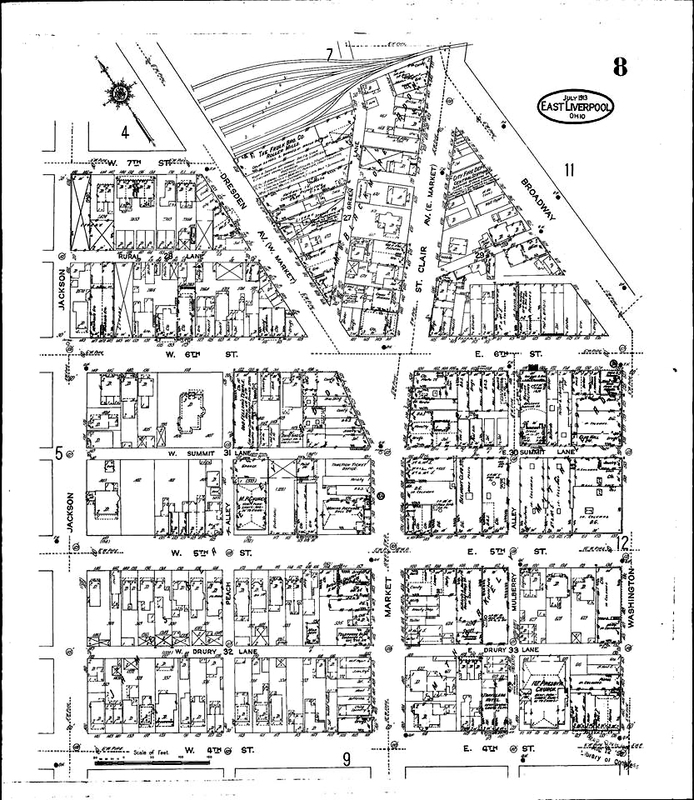 Map from the 1903 Sanford Fire Insurance map. 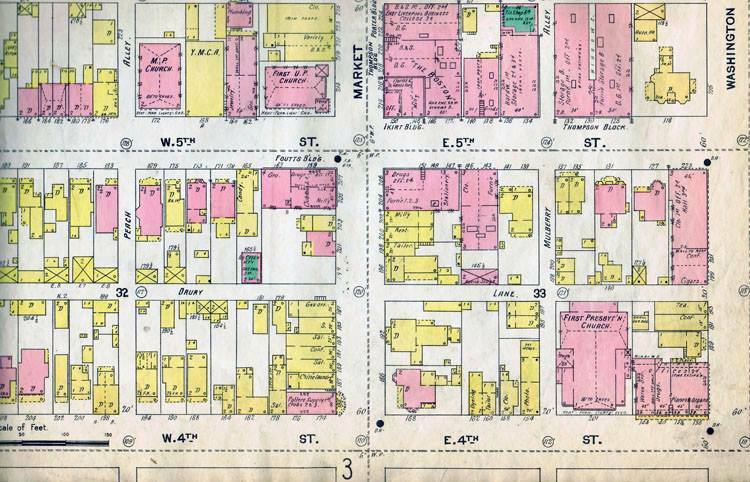 A page from the 1913 Sanford Fire Insurance map. A little closer view. 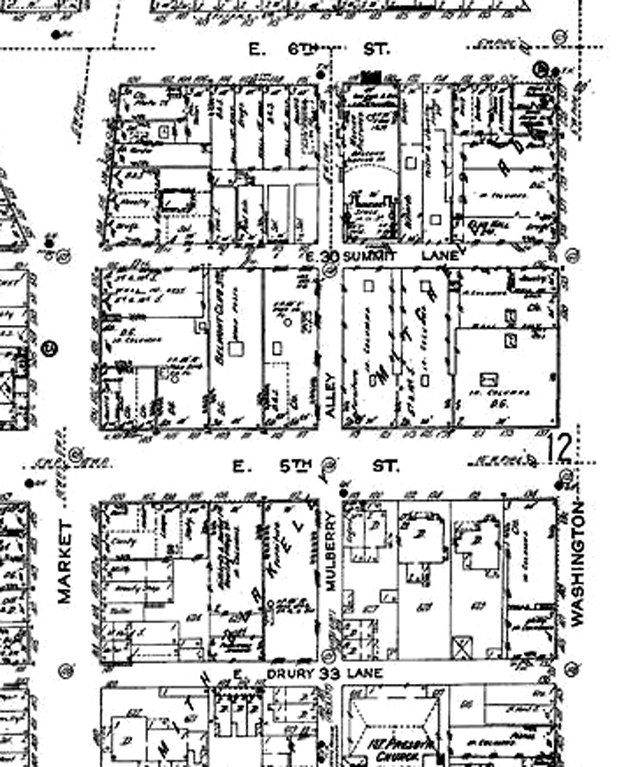 There is definitely a building behind the Ogilvie's building that existed at that time, between Ogilvie's and the south side of the alley. This picture was taken the day of the ground breaking for the Newcastle School Of Trades back in October 2015. In the background is the former Ogilvie's Department Store. As you let your eye traveled to the right looking at the picture you will see a doorway. That doorway entered the Ogilvie's store. When you enter there, to the right of the doorway should have been the elevator. There may not have been a elevator in this original building when it was originally built. THat may have been added later, probably when the the original building was expanded to the north with the new section added. The back wall. maybe 15 to 20 feet north of that door should have been the back wall of the original Ogilvie Department Store. Outside of that back wall should have been an outdoor space and beyond that space should have been the south wall of an additional building where the "Ghost" signs would have been painted. This is the first floor of Ogilvie's. This section is at the added section, This section ends at Summit Lane. It is possible that there was a connecting section. If you recall the store on the first floor, to the right of the staircases, you had a slight slope up then a section before your reached this back room. That all may have been added when the original store was expanded and back to the alley. Standing jusr inside the western doorway of the fornwe Woolworth 5&10 on the North side of East 5th Street March 14, 2016.